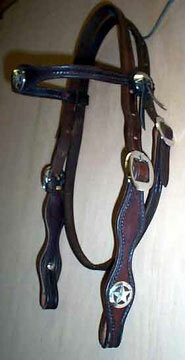 Custom made bridles for work and show. 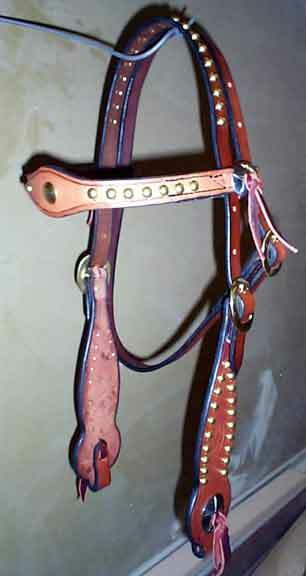 Bridles are made to fit standard 37-43" length. Will make any size needed. Select a style and email for a quote. with brass spots and nickel conchos. with nickel spots and nickel conchos. Your choice of color leather insert - turquoise, metallic red, yellow. with brass and nickel spots and nickel conchos. One ear, spotted leather, stitched piece and one solid brass concho. 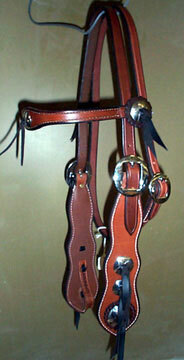 with nickel conchos and CB buckles. 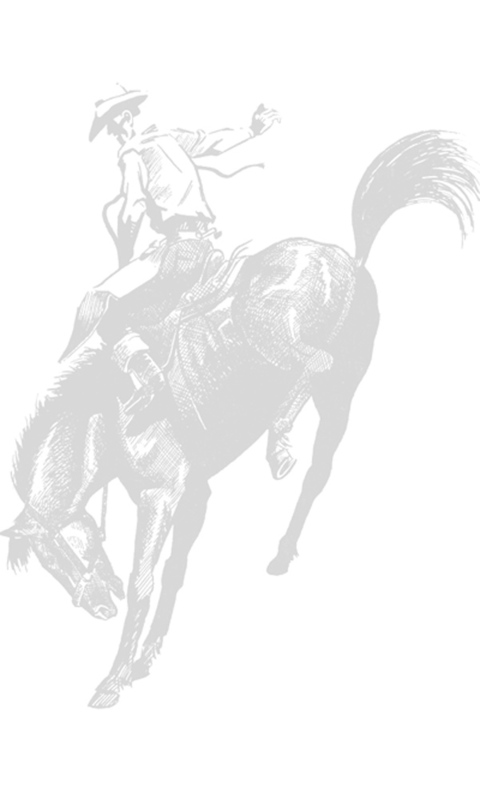 with custom border tooling and daisy conchos (when available). with brass and/or nickel conchos. Hand tooled and basket stamped. Old style wide brow band.